This workshop will cover the basics of personal credit, the reporting agencies, credit reports and scores. Learn about each component that makes up your own personal report and understand the FICO scoring model. All consumers should have a vested interest in establishing and preserving their credit worthiness and credit standing, because you’ll need to in order to obtain and use credit even when starting a business. Are you considering applying for a small business loan in 2018? Now is the time to start and make a commitment to better spending habits, more savings and an improved credit score. You will need to make sure all of your “financial ducks” are in order before making a serious commitment. Learn how to determine the right amount of debt to take on and how to develop a recovery plan when overwhelmed. 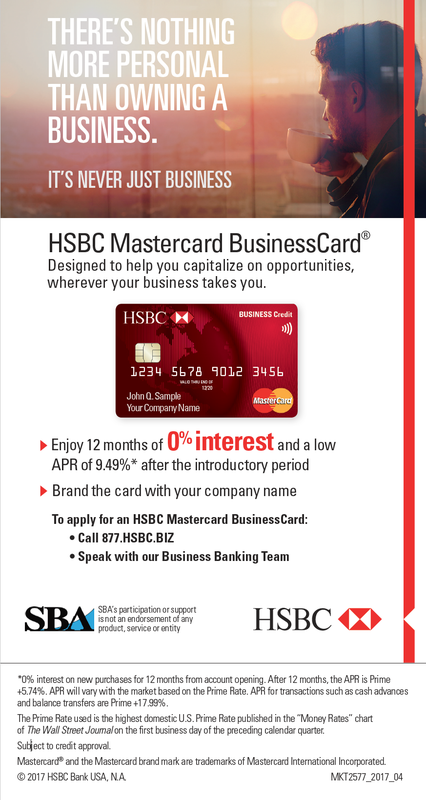 The HSBC Secured Credit Card program provides business and credit counseling, matched savings grants, and access to the mainstream banking system to those seeking to improve their financial stability. Access to all BDC classroom trainings and one-on-one counseling which provide nascent and existing entrepreneurs with the tools to operate sustainable businesses and successfully manage their personal finances. BDC services include credit/financial counseling, business development training, technical assistance and access to capital. Access to a savings account through HSBC. Participants who successfully save $500.00 will receive a $500.00 matched savings grant. The total $1,000.00 is then available for usage to open a HSBC Secured Credit Card.